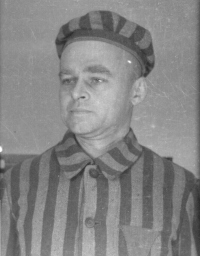 On this date in 1943, Piotr Jarzyna was shot at Auschwitz for his activities in the Polish resistance. He was fifty years old. Jarzyna, a wheelwright, was born to a peasant family in the village of Polanka Wielka near Oswiecim, the town that would become known as the site of the Auschwitz Camp. He moved to Krakow, the nearest big city, in 1938. 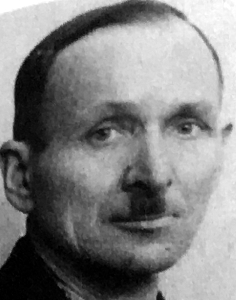 Under the German occupation of Poland he joined the peasant resistance movement using the pseudonym “Jacek”, working as a courier and a soldier in the Peasant Battalions in the vicinity of Auschwitz. 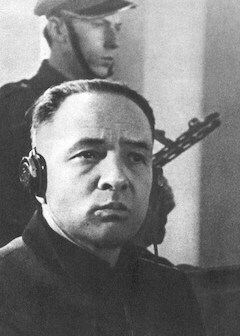 One of his tasks was providing covert aid to the prisoners in the camp. Aid to Auschwitz prisoners took various forms. It consisted above all in furnishing them with food, but also with medicine and bandages. 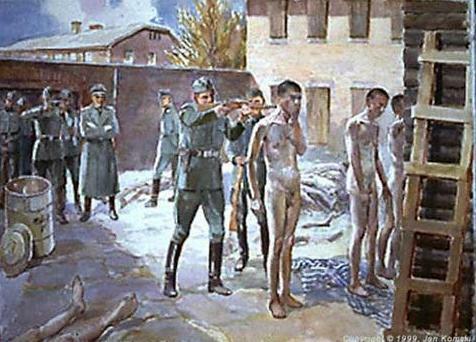 In the winter, people attempted to get warm clothing and underwear to the prisoners. However, the help was not confined to the material sphere. It was equally important to make it easier for the prisoners to stay in touch with their families, usually by helping to deliver illicit correspondence, but there were also cases in which arrangements were made for prisoners to have face-to-face meetings with their loved once. 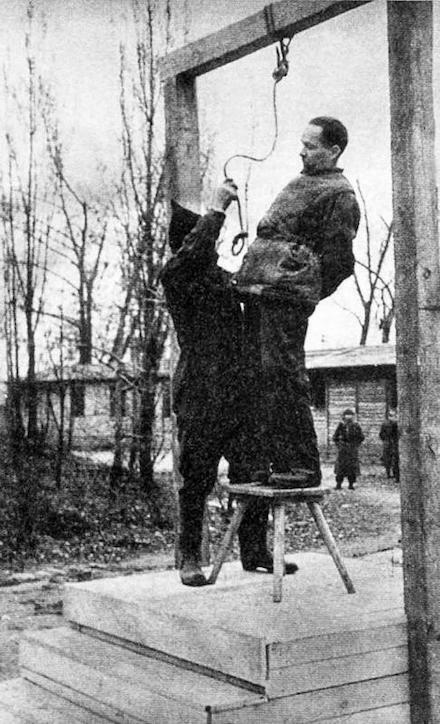 People helped prisoners who had escaped from the camp, and even played a role in organizing the escapes. 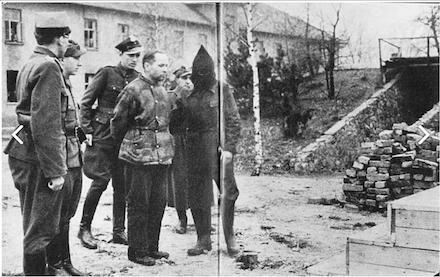 Local residents’ organisations also received documents from the prisoners that revealed the crimes being committed by the SS, and forwarded this evidence to the headquarters of the Polish underground movement. In 2009, the Auschwitz Museum published People of Good Will, which provides information about more than 1,200 Polish people from the vicinity of Auschwitz who helped the prisoners. Piotr Jarzyna is one of those. 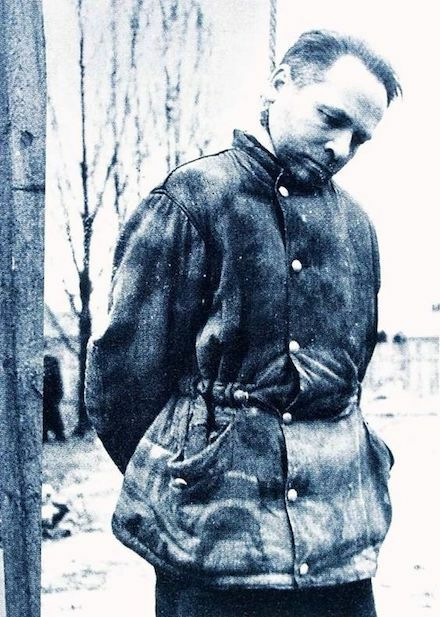 While continuing to live in Crakow, he frequently sneaked into the vicinity of the camp, carrying various items including copies of the underground press, but most of all medicine for the prisoners, including valuable, highly specific preparations. Reaching the area of the camp involved the great risk of crossing the border between the General Government and the Third Reich, since Germany had annexed the Land of Oswiecim. Jarzyna was often accompanied on these expeditions by his young daughter Helena. Fortunately he was alone when he was caught by border guards in the autumn of 1942, carrying precious doses of medicine. 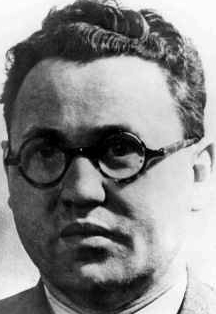 He was able to dump some of his stash before his arrest, but when they searched him they found several vials of anti-typhus serum meant for Auschwitz inmates. 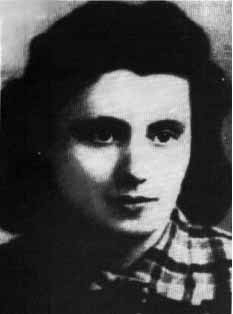 The Nazis sentenced Jarzyna to serve a term in Monowitz, one of Auschwitz’s three main sub-camps, where inmates did slave labor for I.G. Farben. After three weeks, he was able to escape and made it back home to Krakow. Amazingly, this experience did not deter Jarzyna from his resistance activities: he went right back to smuggling stuff over the border into Auschwitz. In January 1943, doing another medicine run, he was caught a second time, and this time Helena, then just fourteen, was with him. The Germans took them both to Wadowice, and then transported them to Gestapo headquarters in Bielsko. They underwent brutal interrogations there, before being taken to the prison in Mylowice. 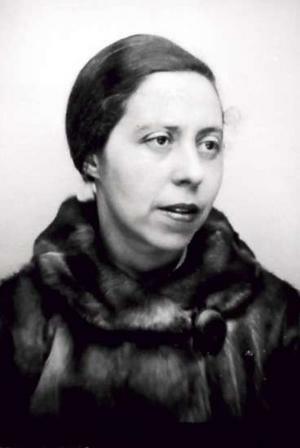 The Germans then committed Helena to the Gestapo jail in Bielsko, while sending her father to Auschwitz. 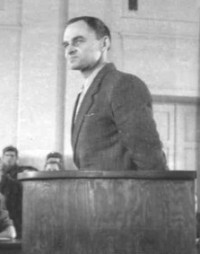 The Gestapo summary court in the camp sentenced him to death, and he was shot on October 22, 1943. Helena survived. 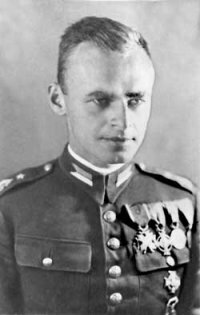 After the war, her father was posthumously decorated with the Order of the Cross of Grunwald, Third Class, due to his heroics during the Nazi occupation. He was twenty-five years old and had been caught attempting to escape. 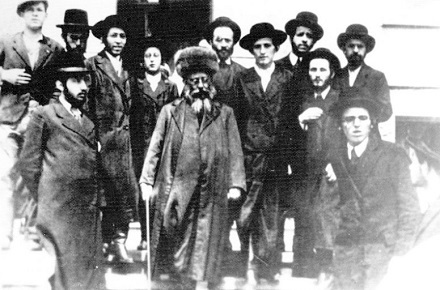 Sim Kessel (called “Sam” in some accounts), a French Jew who boxed professionally, had been at Auschwitz for two years — a staggering period of time where the normal lifespan of a prisoner was at most three months — and had already escaped the gas chambers on two occasions. 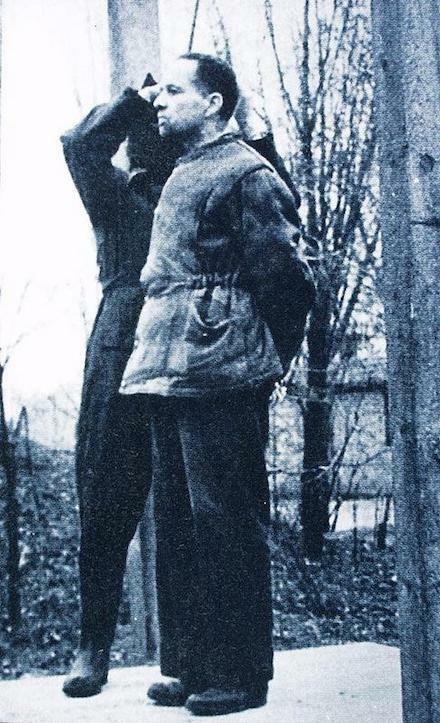 The first time, he was in the infirmary recuperating from a severe beating and torture at the hands of the SS (one of his fingers had been cut off), and a Nazi doctor judged him incapable of recovery and took his number down. Then, a miracle: somehow, his chart was misplaced. Unmistakable. The stigmata of the ring. He also had muscular shoulders and a springy way of walking. I hesitated for a second and then thought, oh, what the hell! He didn’t wait for an explanation, he understood. […] “Get on!” he bellowed. This act of mercy which he had performed in the name of boxing meant something totally different to each of us. Obviously to me it was everything; for him, nothing at all. I was like a worm that one doesn’t step on at the last minute. The idiotic strategy will be familiar to high school delinquents the world over: they casually walked out of camp together, in broad daylight, acting as if they had a legitimate destination in mind, and no one tried to stop them. Unfortunately, they were caught the next day and sent back to Auschwitz. A public execution was the only punishment for escapees, and so the five were lined up on the scaffold in front of a crowd of some 25,000 prisoners. They each had to take their turn to die and Kessel was the last. And then the rope broke. I came to. Or partly came to. It was as if I were in a dream, still unable to realize what was going on around me, aware mainly of the excruciating pain in my neck and back. In some countries, if a person survives an execution they’re granted a reprieve and allowed to keep their lives. 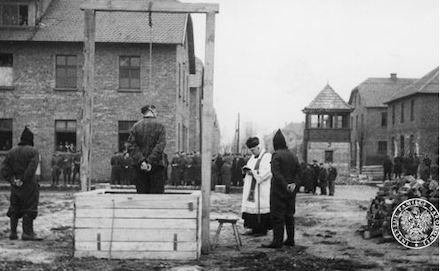 Not so in Auschwitz: you were simply hauled away and shot, this time without ceremony. So I appealed to him, half in German, half in French. I argued that one boxer could not kill another boxer. That he, a former champion, a sparring partner of Schmeling’s, could not degrade himself by simply slaughtering me in cold blood. Jacob listened and then walked away without a word. When he returned he carried a new camp uniform. Kessel was to put it on and simply rejoin the mass of prisoners outside. Officially, Kessel was dead, and someone else’s body would be put in the crematorium ovens in place of his own. Certainly there were many bodies to choose from. It probably wouldn’t have worked were it not for the fact that the Third Reich was in its death throes. The Wehrmacht was on the run, besieged by the Russians on one side and the Americans on the other, and within days Auschwitz would be evacuated. 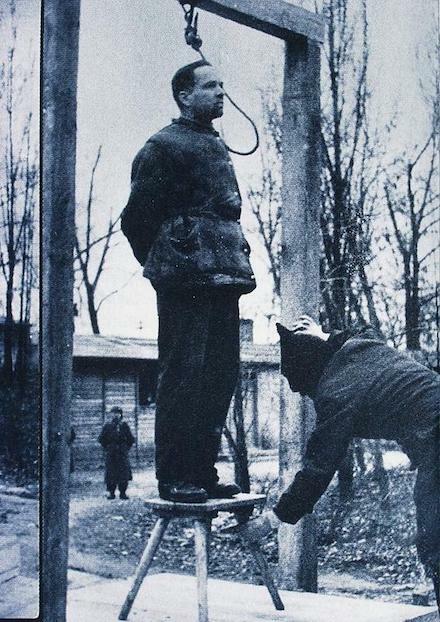 Kessel survived two death marches and other dangers before he was liberated on May 7, 1945, five months after the rope broke.